Topline: The luxury coupe enters its fifth year of production after having been initially introduced in 2015. The new design tweaks aim to emulate its sexier and more expensive sibling, the LC, but the RC will remain nearly identical until a replacement arrives in the near future. What's New: The RC benefits from new headlights that eliminate the previous concave-shaped housings and it also receives separate daytime running lights. A new front bumper incorporates an updated spindle grille while the rear bumper now has functional vents that sit directly below the new taillights. The F Sport trim changes up the spindle grille's mesh pattern and adds 19-inch alloy wheels. Blue Vortex Metallic, pictured below, is a new color option. Lastly, new bushings and shock absorbers have been installed and throttle and steering response have also been sharpened. 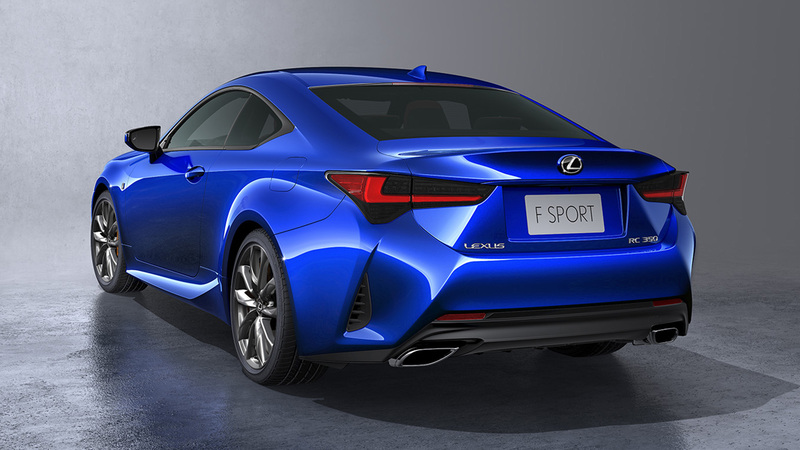 Quotable: "The fresh new styling of the 2019 RC retains all the virtues of the previous model yet further refines the design language first established by the flagship LC coupe. Inside the cabin, everything from the high- quality materials to the design of controls and gauges were reevaluated to maximize driving pleasure," Lexus said in a press release. What You Need to Know: In North America, the RC will retain its two powertrains: a 2.0-liter turbocharged four-cylinder that produces 241 horsepower and a 3.5-liter V-6 with 311 horsepower. The automaker didn't confirm when the new model will reach dealerships or if customers should expect an increase in price (the 2018 RC starts at $40,640). Lexus told The Drive that "pricing and availability will be announced closer to the official unveil at the 2018 Paris Motor Show in early October." 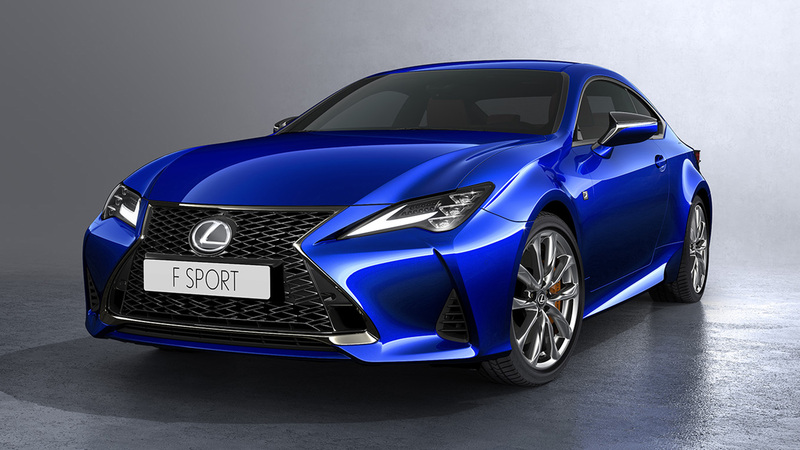 The 2019 Lexus RC will debut in the French capital in the first week of October.